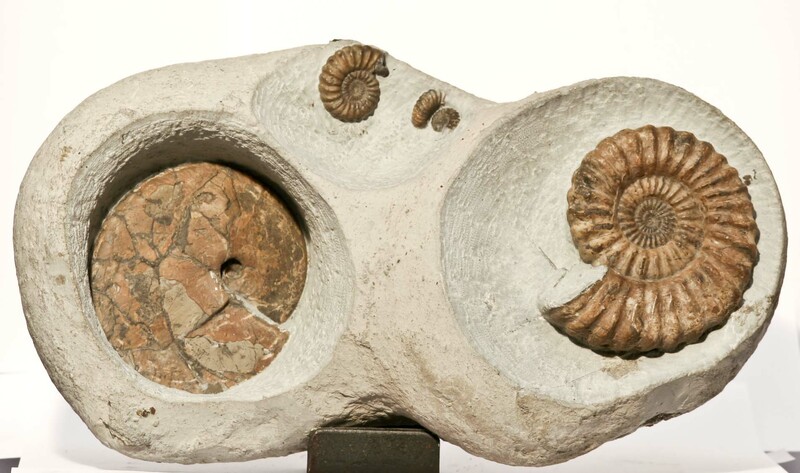 Androgynoceras and Tragophyllus ammonites preserved in their matrix and attractively presented. 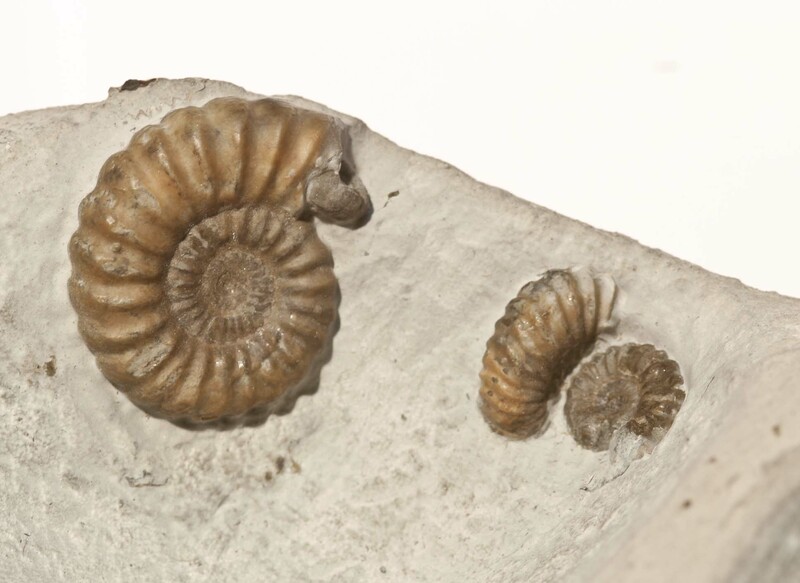 The 180 million year old fossils are from Lyme Regis, Dorset, UK. The Androgynoceras is 9.2cms diameter and the Tragophyllus is 9.5cms.